Have you ever dreamed of owning your own business but don't know where to begin? 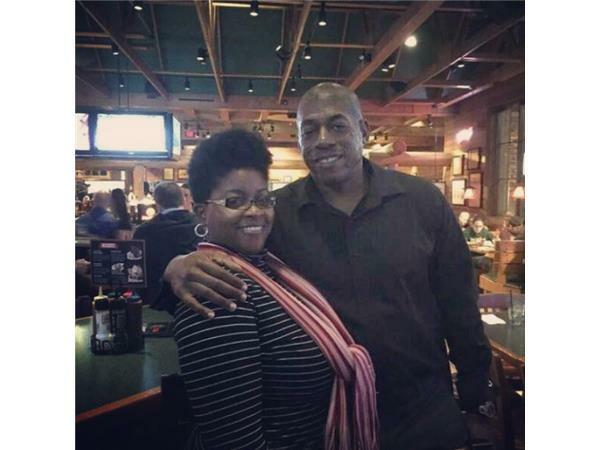 Tune in Wednesday, February 15th at 6:30 pm est and meet our special guest, Stephanie A.Wynn! 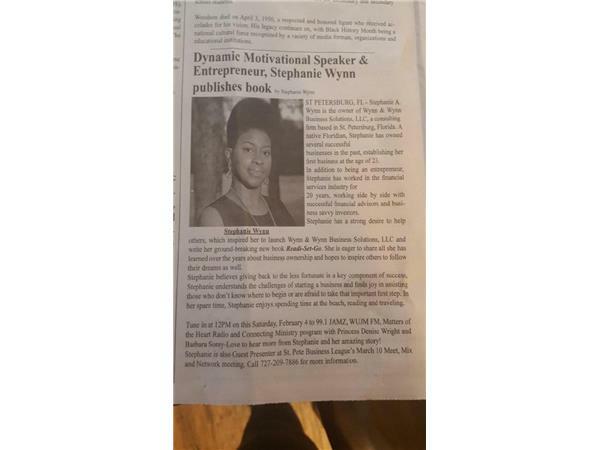 Stephanie is the proud owner of Wynn & Wynn Business Solutions, LLC, a consulting firm based in St. Petersburg, Florida. A native Floridian, Stephanie has owned several successful businesses in the past, establishing her first business at the tender age of 23. She is also the primary author of the exciting new book Readi Set Go! 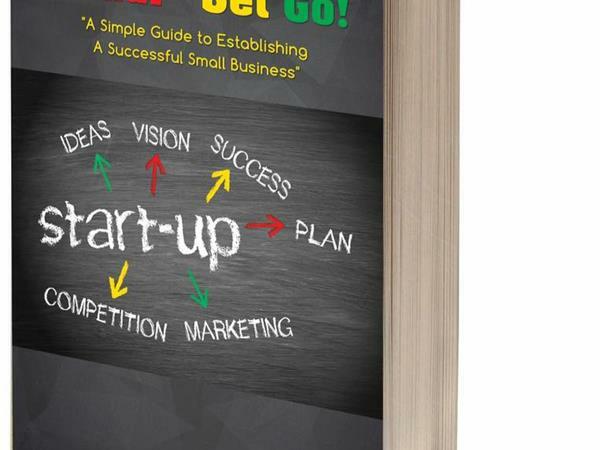 A Simple Guide to Establishing a Succefful Small Business that I helped cowrite. 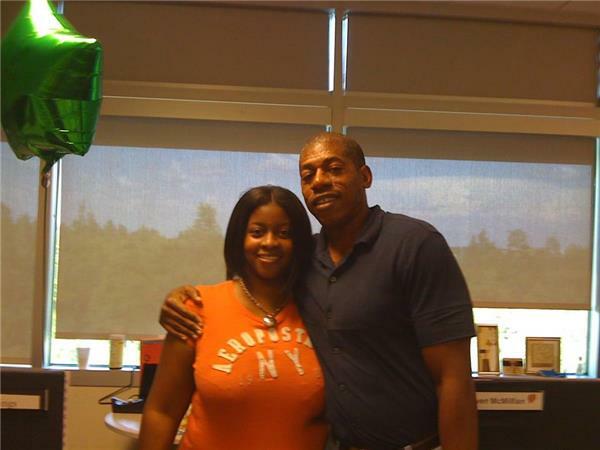 Stephanie lives by the motto “each one teach one,” and believes giving back to the less fortunate is a key component of success. Stephanie understands the challenges of starting a business and finds joy in assisting those who don’t know where to begin or are afraid to take that important first step. It is estimated that more than 80% of businesses fail within the first 5 years. 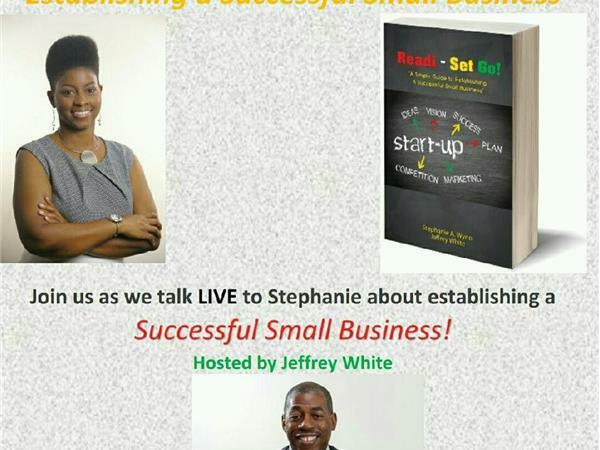 Join us as Stephanie gives valuable insight on how to beat the odds! We will also discuss our new book as well as give tips on creating solid business plans, the importance of building an impeccable brand, the power of patience, choosing the perfect business partner, technical issues such as tax write-offs and retirement savings for entrepreneurs and much more! We are living in challenging times. Layoffs are common and automation is slowly eliminating jobs in many job sectors. There has been much talk about jobs coming back to the U.S., but instead of waiting on a job, let's talk to Stephanie as she gives us tips on how to create one! 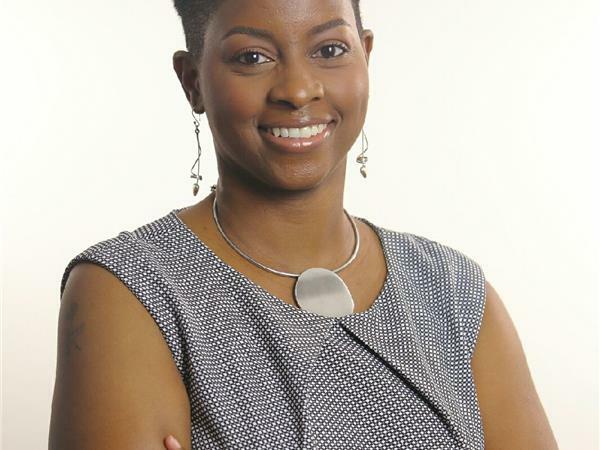 Learn more about Stephanie at http://www.wynnbusinesssolutions.com/.